Als open-minded coach, werkzaam op taboe-terreinen als verslaving en/of kink, ben ik erg bezig met privacy. Ik denk dat transparantie belangrijk is en ben duidelijk dat ik mijn best zal doen om privacy te bewaken en doe mijn best om bewust om te gaan met persoonlijke informatie. Onze website en/of dienst heeft niet de intentie gegevens te verzamelen over websitebezoekers die jonger zijn dan 16 jaar. We kunnen echter niet controleren of een bezoeker ouder dan 16 is. Wij raden ouders dan ook aan betrokken te zijn bij de online activiteiten van hun kinderen, om zo te voorkomen dat er gegevens over kinderen verzameld worden zonder ouderlijke toestemming. Als je er van overtuigd bent dat wij zonder die toestemming persoonlijke gegevens hebben verzameld over een minderjarige, neem dan contact met ons op via hansrjwest@gmail.com, dan verwijderen wij deze informatie. – Verzenden van onze nieuwsbrief om je te informeren over onze diensten en producten via mail chimp. – Je te kunnen bellen of e-mailen indien dit nodig is om afspraken te maken voor Skype- of IRL-afspraken of om vragen te beantwoorden. West-coaching.nl neemt geen besluiten op basis van geautomatiseerde verwerkingen en al zeker niet over zaken die (aanzienlijke) gevolgen kunnen hebben voor personen. De sites worden gehost op wordpreess.com. Op dat niveau worden wel ‘besluiten’ genomen door computer-systemen, zonder dat daar een mens (bijvoorbeeld West-coaching.nl) tussen zit. West-coaching.nl gebruikt de volgende computerprogramma’s of -systemen: voor web-bogs WordPress.com, voor mailen: gmail voor emailbrieven: mailchimp. West-coaching.nl bewaart je persoonsgegevens niet langer dan nodig is om de doelen te realiseren waarvoor je gegevens worden verzameld. Emails verzenden wij direct, behandelgegevens staan op papier en meestal achter gelaten bij de klant of worden als PDF opgeslagen zodat online leesbaarheid moeilijker wordt omdat privacy voor klanten belangrijk kan zijn. De naam (of nickname) en emailadressen bewaren wij in mailchimp om de emailbrieven makkelijker te kunnen versturen. Daar worden gegevens bewaard tot het moment dat jij via deze site vraagt om gegevens te verwijderen. Op alle mails die wij via mailchimp sturen staat een link waarmee dat kan gedaan worden. West-coaching.nl verstrekt uitsluitend aan derden en alleen als dit nodig is voor de uitvoering van onze overeenkomst met jou of om te voldoen aan een wettelijke verplichting. 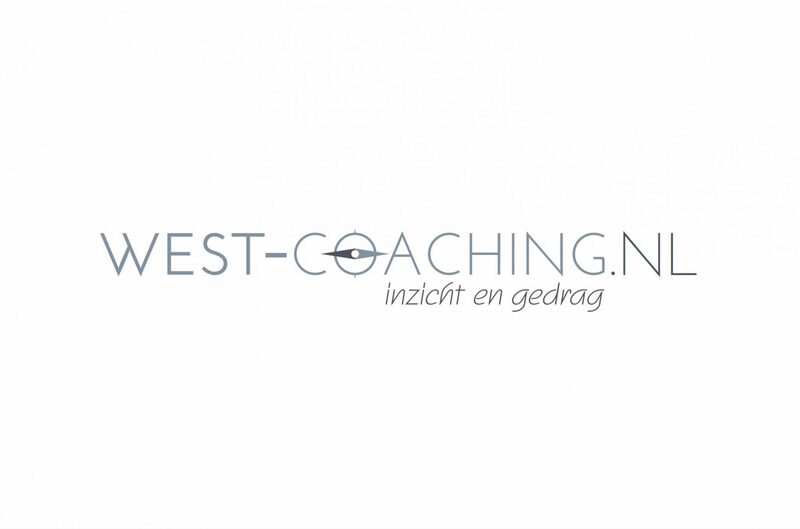 West-coaching.nl gebruikt dus zelf geen cookies en geeft alleen informatie gratis weg. WordPress -het platform om de informatie te organiseren- gebruikt alleen technische en functionele en analytische cookies die geen inbreuk maken op je privacy (een cookie is een klein tekstbestand dat bij het eerste bezoek aan deze website wordt opgeslagen op jouw computer, tablet of smartphone). De cookies die wij gebruiken zijn noodzakelijk voor de technische werking van de website en jouw gebruiksgemak. Ze zorgen ervoor dat de website naar behoren werkt en onthouden bijvoorbeeld jouw voorkeursinstellingen. Ook kunnen wij hiermee websites geoptimaliseerd worden. Je kunt je afmelden voor cookies door je internetbrowser zo in te stellen dat deze geen cookies meer opslaat. Daarnaast kun je ook alle informatie die eerder is opgeslagen via de instellingen van je browser verwijderen. If you do not wish to have this information used for the purpose of serving you interest-based advertisements, you may decline to receive interest-based ads through TrustE/TrustArc’s preferences manager (or if you are located in the European Union click here). Please note this does not stop you from being served advertisements. You will continue to receive generic advertisements. Please note that if you reject or block all cookies in your browser settings, you will not be able to take advantage of some WordPress Services as some cookies are necessary for that Site to function properly. As an open-minded coach, working in the field of addiction and/or kink I care deeply about privacy. I believe in transparency, and am committed to being upfront about privacy practices, including how to treat your personal information. We think it’s important for you to understand how cookies and other similar technologies are used by West-coaching.nl and our partners. These technologies help West-coaching.nl function, allow us to understand how you use the Services, and have a number of purposes (beyond just advertising) that you can read about in this policy. This Cookies & Similar Technologies Policy was published on April 23, 2018. It will take effect on May 23, 2018. The previous version of this policy can be viewed . Persistent cookies remember certain information about your preferences for viewing the site, and allow West-coaching.nl (actually wordpresss.com) to recognize you each time you return. Persistent cookies are stored on your browser cache or mobile device until you choose to delete them, and otherwise typically delete themselves at expiration. Third-party cookies are placed by someone other than West-coaching.nl, and may gather browsing activity across multiple websites and across multiple sessions. They are usually a type of persistent cookie and are stored until you delete them or they expire based on the time period set in each third-party cookie. Cookies store data about your use, but they are helpful because they allow us to help West-coaching.nl function and customize your experience. You can configure your desktop or mobile browser’s settings to reflect your preference to accept or reject cookies, including how to handle third-party cookies (see Managing Your Cookie Technology Preferences below). In addition to cookies, there are other similar technologies used by West-coaching.nl and elsewhere on the web or in mobile ecosystems. west-coaching.nl (wordpress.com) uses Cookie Technologies to recognize your logged-in state on West-coaching.nl, to understand what purchases members and visitors are interested in, to make West-coaching.nl’s Sites function for you, and to help your browsing experience and use of the Site, Services, and Apps feel more customized. More generally, West-coaching.nl uses Cookie Technologies for the following. Some cookie and similar technology functions are necessary and vital to ensuring that West-coaching.nl works properly for visitors and members, such as maintaining the security, safety, and integrity of the Site, authentication and logging into West-coaching.nl (including remembering permissions and consents you have granted), and ensuring the ability to securely complete transactions. Some technologies are used to remember your account and preferences over time, such as remembering your account or keeping yourself logged in when returning to West-coaching.nl, maintaining your choices on West-coaching.nl features and how you want West-coaching.nl to appear, including keeping track of your preferred language and country, and customizing content based on on how you use West-coaching.nl. Social networks may also work with West-coaching.nl or with you for analytics or for marketing purposes, as discussed below. You may be able to manage your privacy preferences for these social networks and their tools and widgets via your account with the social network. You can find more information on specific social media tools and widgets in our Cookies & Similar Technologies Disclosures. Some technologies help provide performance data on how the Services are functioning in order to improve West-coaching.nl and the Services, including, for example, data on site and app functionality and speed to help us optimize West-coaching.nl, how the Services are used to help us improve your experience on West-coaching.nl, and detecting and gathering reporting on bugs to help make West-coaching.nl work better. The Site and App also employ Google Analytics to help understand how West-coaching.nl is used by its community. For some of the advertising features listed below, like retargeting, data from Google Analytics may be combined with West-coaching.nl’s first-party data and third-party cookies (like Google’s advertising cookies). To see how to opt-out of Google Analytics Advertising Features, see the Opt-Out section at the bottom of this policy. These technologies allow a partner to recognize your computer or mobile device each time you visit West-coaching.nl or other websites and mobile applications based on data like a cookie, your IP address, or device ID, but do not allow access to other personal information from West-coaching.nl. However, these technologies may allow us or a third party to recognize you, either from a single device or across devices, over time. These third parties are required to follow applicable laws, self-regulatory programs, and West-coaching.nl’s data protection rules where applicable. However, West-coaching.nl does not have control over these third parties, who each have their own privacy policies and privacy practices. West-coaching.nl adheres to the Digital Advertising Alliance’s Self-Regulatory Principles for Online Behavioral Advertising. You can find a description of third-party Cookie Technologies used by West-coaching.nl, along with their respective privacy policies and options for controlling your privacy on these platforms, in our Cookies & Similar Technologies Disclosures. You can find a description of principal third-party SDKs used by West-coaching.nl, along with their respective privacy policies and options for controlling your privacy on these platforms, in our Cookies & Similar Technologies Disclosures. Certain Cookie Technologies are employed to make the Site function for its intended purpose, and are provided based on contractual necessity based on your agreement with West-coaching.nl to perform the services you have requested. These include the functions strictly necessary to the service noted above.